[ad#cocoatop] Ichiro Suzuki has achieved amazingly records in the both leagues, Japan and the U.S. so far. However, do you want a situation like just say, ‘He is a great baseball player’ or ‘He is awsome’, then your life will not be changed at all ? Your life after watching Ichiro Suzuki play will be the exactly the same as the life you have been walking so far, wont’t it? Why on earth do you watch sports? Why on earth do you read book? Why on earth do you go to work or school? The reason for all of these is just ‘ want to be happy’. We need to make a ‘difference’, and go forward, go to the next level. We need to know ‘the differences making differences’, actually. 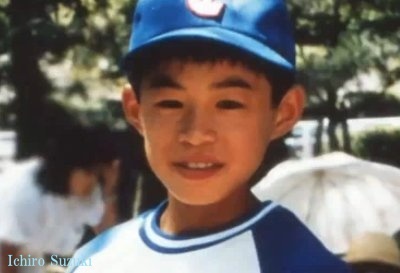 Here, we are going to see ‘the difference’ of Ichiro Suzuki through his essay from childhood,12 years old. ICHIRO SUZUKI’s goal-essay supports amazing stats! My dream is to become a first-class pro baseball player. For my dream, I have to continue to be successful in the national tournaments. I started to play baseball when I was 3 years old, and have been practicing. I had been practicing for half an year from 3 to 7 or 8 years old, but since around 9, I have been tackling tough practice almost everyday. Therefore, I have got 5 or 6 hours to play with my friends in a whole week. Because I have been practicing that much, I know DEFINITELY I can become a pro baseball player. After playing important roles in the tournaments of Junior high and high school, my plan is of course entering into a pro team firstly. And, a pro team I want to play is ‘Chunichi Dragons’ or ‘Seibu Lions’. My goal is being picked in the draft, and contract money is over 1 million dollars. My strong points I feel confident are batting and pitching. In the previous summer, I got into a national competition as a prefecture’s representative, and I saw almost all of the pitchers in the games, then I believe that, ‘I am the best pitcher in the competition! I am NO.1!’. As for batting, smashed 3 homeruns in 4 games of the previous prefectural tournament. In addition, throughout the whole games, I have a batting average of .583. This is the result that I am able to be satisfied with. What’s more, my teammates and I could have played baseball without ‘knowing loser’s feelings’ for 1 year. For this reason, I am going to keep tackling the same as before, and do my best. Finaly, If I became a first-class pro baseball player and was able to play games, I would distribute invitations to those who have been taking care of me so far, and want them to cheer for me. This is my plan as well. Anyways, one of the biggest dreams is becoming a pro baseball player! What is ‘the difference making differences’ of him, Ichiro Suzuki ? I know you know already, but this is ‘the difference making differences’ of Ichiro Suzuki. Thanks to the actions above, your present comfort-zone will move to the ideal one, and you will be willing to live out your dream. Your heart will be able to make active actions forward your goal. Our life is supposed to be fantastic. What do you want to make your life? If can feel it, it comes for sure.